Shanghai, Hu for short, also known as Shen, is a multi-cultural metropolis with both modern and traditional chinese features. The city has a status equivalent to a province, and reports directly to the central government. Serving as the largest base of Chinese industrial technology, one of the most important seaports and China&apos;s largest commercial and financial center, Shanghai draws the attention of the whole world. Except for a few hills lying in the southwest corner, most parts of the Shanghai area are flat and belong to the alluvial plain of the Yangtze River delta. The average sea level elevation is about 4 meters. Dotted with many rivers and lakes, the Shanghai area is known for its rich water resources. 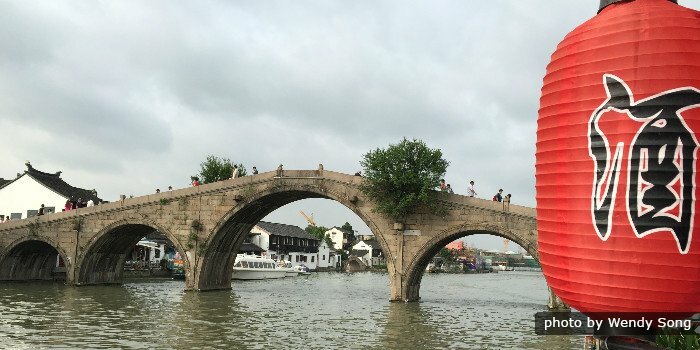 Most of the rivers are tributaries of the Huangpu River. Originated from the Taihu lake, the 113-kilometre-long Huangpu River winds through the downtown area of the city. The river is about 300 to 770 meters wide with an average width standing at 360 meters. The ice-free Huangpu River is the main waterway in the Shanghai area. The city covers an area of 6,340.5 square kilometers, which extends about 120 kilometers in north and south and nearly 100 kilometers in east and west. 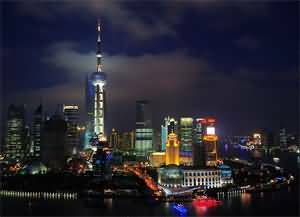 Shanghai has an urban area of 2,643 square kilometers, land area of 6,219 square kilometers and water area of 122 square kilometers. The city&apos;s Chongming Island is the third largest island in China, covering an area of 1,041 square kilometers. Check out zip codes for different areas of Shanghai. Shanghai is one of the most populated cities in China. It has a permanent resident population of 23,019,200, of which 12.21 million live in the urban areas. Shanghai population accounts for 1.1% of the Chinese population, with the average density of 2059 inhabitants per square kilometers (3854 in the urban areas). There is a huge floating population of itinerant workers, probably numbering two million. According to the report of the fifth census in the year 2000, the population of the ethnic minority groups in Shanghai has reached 103,639. People of different minority nationalities are scattering all over Shanghai. Getting along well with people of Han nationality during the hundreds of years of developing process of Shanghai, they have made their lives better and better by the sweat of their brow, and with the help of these respectable people’s profound intelligence and wisdom, Shanghai has been made one of the most developed district of China, a merry land with rich history and culture and an oriental bright pearl standing erectly in eastern Asia. The permanent residents of Shanghai come from china&apos;s 44 ethnic groups. The Han nationality accounts for 99.53% of the total. the rest of them are mainly from Hui, Man, Mongolian nationalities and Zhuang. Among these who believe in religion, most are Islam. As far as the statistics of 1990 is concerned, among the eight ethnic groups (Hui, Uighur, Kazakh, Tartar etc.) out of 44 in Shanghai, some 50965 people (81.98% of the population of minority nationalities in Shanghai) practice Islam. Besides Islam, many ethnic groups in Shanghai have also believed in Buddhism after it was introduced from Tibet long ago. People draw strength from their religious faith and live a colorful life, from which many special customs are formed. Shanghai is divided into 16 districts and 3 counties. There are 205 towns, 9 townships, 99 subdistrict committees, 3,278 neighborhood committees and 2,935 villagers&apos; committees in the city. The 16 districts are Hangpu, Luwan, Changning, Putuo, Hongkou, Minhang, Jiading, Jinshan, Songjiang, Qingpu, Nanshi, Xuhui, Jing&apos;an, Zhabei, Yangpu, Baoshan, and Pudong New Area. The 3 counties are Fengxian, Nanhui and Chongming. Design of the city emblem of Shanghai was approved by the standing committee of the Shanghai Municipal People&apos;s Congress in 1990. The triangle emblem consists of a white magnolia flower, a large junk and a propeller. The propeller symbolizes the continuous advancement of the city; the large junk, one of the oldest vessels plying Shanghai&apos;s harbor, represents the long history and bright future of the port; and the large junk is set against a white magnolia flower blossoming in the early spring. In 1986, the standing committee of the Shanghai Municipal People&apos;s Congress passed a resolution adopting the white magnolia as the city flower. The white magnolia is among the few spring flowers in the Shanghai area. it is in full blossom in early spring and before the clear and bright festival, which usually falls on April 5. The flower has large, white petals and its eye always looks towards the sky. Therefore, the flower symbolizes the pioneering and enterprising spirit of the city. Banking on the large industrial centers and large projects, the city’s industries achieved continued growth rate. In 2005, Shanghai realized an industrial added value of 415.523 billion Yuan, 1.4 times from 2000 base on the statistic; it is representing an average annual growth rate up to 17%. totally, the heavy industrial sector made up for 291.293 billion Yuan while light industrial sector accounted for 108.175 billion Yuan. 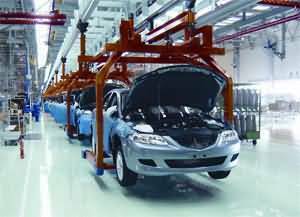 The city&apos;s total industrial output value is reached to 1,687.678 billion Yuan, up 1.4 times from 2000 base on the statistic history; it means an average annual growth of 19.2%. Shanghai has further enhanced of the functions of the financial and insurance services. By the end of 2005, the added value in this sector totaled 68.987 billion Yuan, base on 7.5% of the city&apos;s GDP. In 2005, the People’s Bank of China founded its Shanghai headquarters, pushing the city a solid step forward toward becoming one of the world’s financial centers. AS of the end of 2005, the balance of deposit accounts of all financial institutions in the city is totally of 2,332.086 billion Yuan, and the balance of loans was 1,679.812 billion Yuan. The quality of their assets further improved. By the end of the year, the bad loan rate of the Chinese-owned financial institutions stood at 3.39%, representing a decrease of 0.58 percentage points from the beginning of the year. The insurance market enjoyed healthy growth. By the end of 2005, there were 70 insurance companies and 157 insurance brokerages in the city. They reported total premium revenue of 33.362 billion Yuan, up 8.8% from the previous year. In 2008, the city’s IT industry reported a total added value of 167.052 billion Yuan, up 14.2% from the previous year. The added value of the IT manufacturing sector reached 94.461 billion Yuan, representing a year-on-year growth of 11.2%. The added value of IT products sales reached 3.527 billion Yuan, up 21% and that of IT service businesses 69.064 billion Yuan, up 18.4%. There are two airports in Shanghai, one is Shanghai Pudong International Airport and the other is Shanghai Hongqiao Airport. 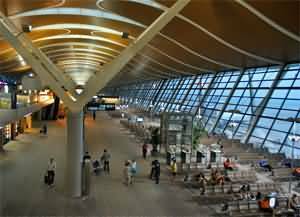 Pudong airport is major serves international flights to more than 90 countries and more than 72 flights to domestic cities. Shanghai Hongqiao Airport is a military airport before 1963, after that, Shanghai Government is constructed as a civil airport and use for transfer passengers in domestic China and to Asia Counties. With an area of 40 square kilometers, Pudong International Airport is in the eastern part of shanghai, 30km from the center of the city and 40km from the rainbow bridge airport. 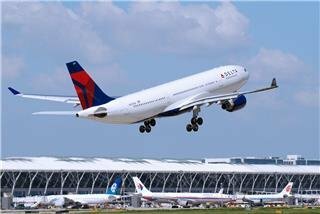 After the finish of the first-step reform project, the Pudong airport will be of the capacity of 300,000 aircraft handling and treat 36,500,000 passengers which can satisfy the need before the second waiting room was put into use in 2008. Located in the west of shanghai, 13kms form the city center, The airport has been considered as the port of shanghai airport flights for years. Since 1996, it has got several first prizes in the activities like "the civil aviation in the travelers&apos; eyes" organized by the civil aviation department. it treats 8 million passenger per year. With an area of 820,000 square meters, the waiting room of the airport consists of 15 waiting halls, 18 vip waiting halls and 15 luggage transmission system. At present, the aircraft movement of the rainbow bridge airport is about 540 per day with greater safety. A waiting building and b waiting building are connected closely to each other. As an important service window, the large waiting hall has the function of being in charge of the arriving and departing the travelers as well as landing the flights, ensuring the safety of airport production and ground service, guaranteeing the right time of the flights. Broadly, central Shanghai is divided into two areas: Pudong (east of the Huangpu River) and Puxi (west of the Huangpu river). On the east side of the Huangpu River is Pudong, a special economic zone of banks, skyscrapers and new residential compounds. The bund lies on the historic Puxi side of the Huangpu River and looks across to the new skyline of Pudong business district. 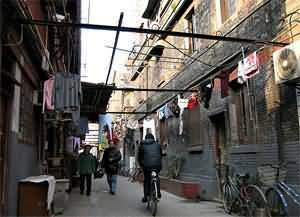 West of the old town and hidden in the backstreets north and south of Huaihai Road (Shanghai&apos;s premier shopping street) is the Former French Concession, with tree-lined streets, 1930s architecture, cafes and bars. At its western end is a major collection of western-style restaurants and bars. Continuing southeast is Xujiahui with its massive shopping intersection. Farther south is Shanghai stadium. Western shanghai is dominated by Hongqiao, a zone of hotels, conference centers, and business offices. Farther west is Gubei, an expat area. Northeastern Shanghai has an industrial feel and is home to several universities. Further northwest is Zhabei and Shanghai Train Station. Street names are given in Pinyin, which makes navigating easy, and many of the streets are named after cities and provinces in China.